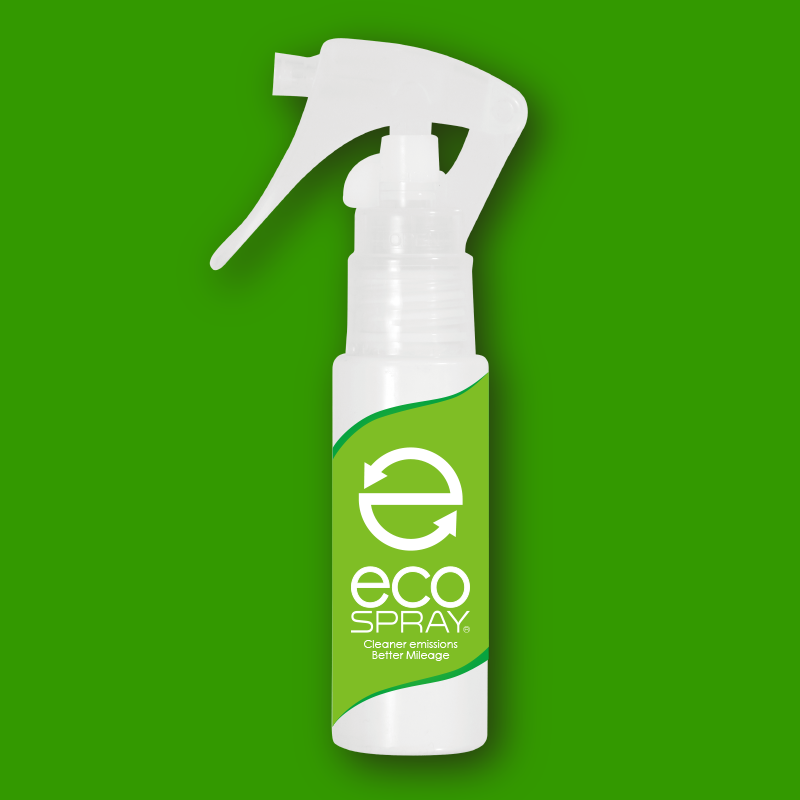 eco-SPRAY® is an environmentally friendly additive made of all-natural ingredients which has been demonstrated to allow cleaner combustion, an immediate reduction in harmful emissions, improved power, and improved fuel efficiency. 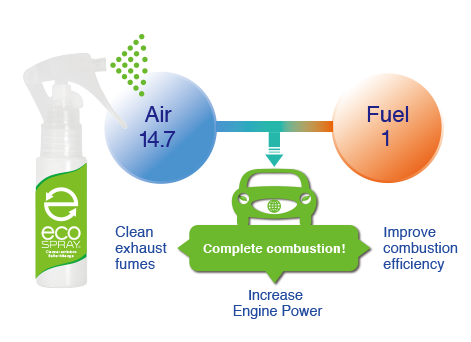 By cleaning your engine with all-natural ingredients, eco-SPRAY® has been demonstrated to allow cleaner combustion, an immediate reduction in harmful emissions, improved power, and improved fuel efficiency. The additive is applied through the air filter, rather than the fuel tank. One bottle applied to your air filter every 3000 miles can improve mileage between 8-40%, depending on the year, miles, make and model of your vehicle. 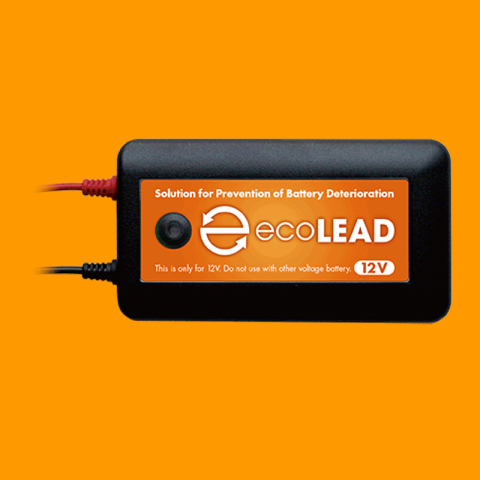 Effective for gas, diesel, and hybrid vehicles. Test results show immediate reductions of carbon monoxide, nitrous oxides, and hydrocarbons typically ranging from 15-30%. A slight increase in power also results in smoother, quieter engine idling. Deep clean carbon deposits from your engine, valves, and combustion chamber for smoother, more efficient operation. produce much better results, it also is more cost-effective. The ideal air-to-fuel ratio for complete combustion in your engine is 14.7:1. A mixture which is either too lean or too rich results in incomplete combustion. eco-SPRAY increases power (and thus fuel efficiency) and reduces harmful emissions by improving your combustion efficiency in a number of ways. Click below to read exactly how. Increased power and smoother, quieter engine idling.